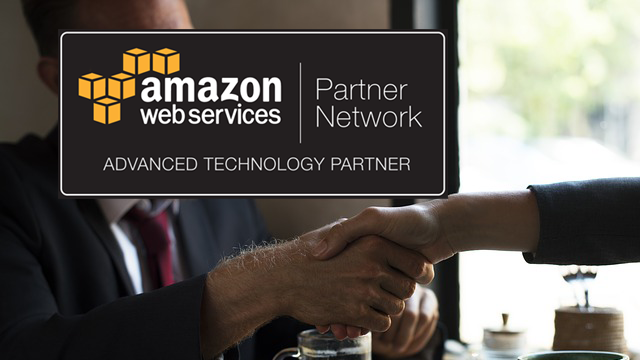 The AWS Partner Network (APN) is the global partner program for AWS, focused on helping customers build successful AWS-based businesses or solutions. 10Duke has been part of the AWS Partner Network since 2017, however today we’re pleased to announce our recognition by AWS as an Advanced Technology Partner. APN Partners are focused on your success, helping you take full advantage of all the business benefits that AWS has to offer, by offering expertise to help your company at any stage of your cloud adoption journey. APN Technology Partners can achieve one of three performance tiers; Registered, Standard, and Advanced and partners graduate through the tiers based on their level of engagement and competency with AWS. Even just becoming a registered APN partner involves an extensive vetting process, and there are a number of prerequisites regarding technical proficiency and proven customer success that need to be demonstrated. Advanced partner status is recognition from AWS that a technology partner has demonstrated a strong overall AWS practice as well as the technical competency to assist their customers in optimising their AWS deployment. AWS is a relatively new technology that enables an enterprise to build its infrastructure as it sees fit, but it can be difficult for a non-expert to tell the difference between a good AWS setup and a bad one. One of the key issues is having the experience to determine which tools will best fit the job at the lowest cost, which isn’t easy given the inherent flexibility of the platform. As a qualified & fully accredited AWS Advanced Technology Partner, AWS recognises 10Duke as a best practice company, meaning we can help customers of all sizes design, architect, build, migrate, and manage their applications on AWS. We’ve demonstrated our ability to successfully deliver solutions and have invested in our AWS expertise – Advanced partner status is recognition from AWS of our competency. Whether or not you’re using your own deployment on AWS is irrelevant, 10Duke is here to help you leverage the most out of the AWS platform. We’ll help you to optimise costs, performance and usage, accelerating your journey with AWS and transforming your business. You can find 10Duke listed in the AWS partner directory or contact us to find out more. We’re excited to announce that 10Duke has been recognised for helping customers of all sizes design, architect, build, migrate, and manage their applications on AWS. 10Duke Entitlements Now Supports Domain White-listing For On-boarding New Users. Offer your customers or partners our Domain Whitelisting feature for the 10Duke Entitlement Service. The 10Duke Google Connector enables automatic synchronization between 10Duke IdP deployments and Google. We apply the Hollywood principle and kick off the first in our new series of video testimonials with Causeway Technologies. 10Duke is excited to announce the launch of our redesigned developer website! We've kept the old site structure but added a HUGE amount of new content including API references, tutorials, config guides and more. Sign-ins can produce a lot of access friction and can be really tedious from a user perspective. The new user-flow is designed to help your users. This month we're packing our beach towels, getting our passports ready and learning a new language...actually we've been learning several new languages. Updated 10Duke client libraries now available on GitHub! We're pleased to announce that this month we have updated three of our client libraries on GitHub and provided even more code to help your applications interact with our APIs. We're pleased to announce that 10Duke will be attending the 2018 edition of the Security IT Summit at the Hilton Hotel in Canary Wharf. 10Duke SysAdmin has been completely overhauled with several key improvements.